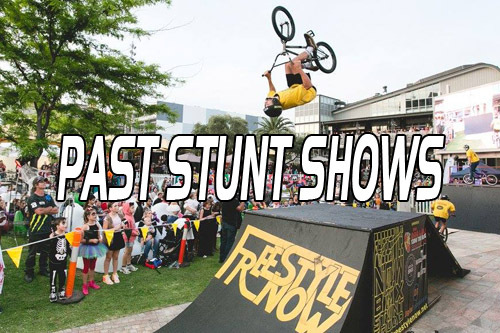 Freestyle Now specialises in entertaining stunt show performances, skatepark coaching workshops, well managed skatepark competitions, motivational school presentations, as well as youth orientated events and programs. From humble beginnings in 1986, to the present, Freestyle Now has always retained a fundamental ethos of courtesy, respect, inclusiveness and diversity. By applying the same philosophy that free sports teach us, to our business ethics, we have persevered to achieve our goal of running well-managed events and entertaining performances. We have accomplished this all while promoting the fun aspects of BMX, skateboarding and scooter riding and associated activities. This has, and will always be our main focus. 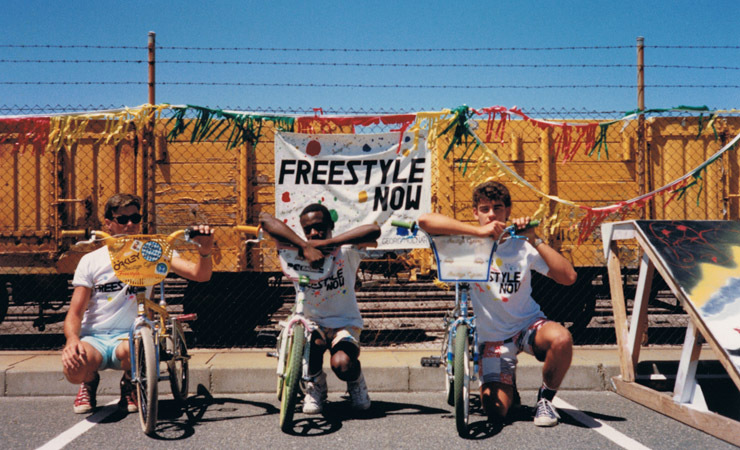 Freestyle Now began as an idea in mid 1986 by three friends Georg Molnar, Brad Dyer and Shaun Jarvis. 1986 was a year of new things for these three friends. A new sport was emerging, BMX freestyle. This is what brought these three guys together. In Perth Western Australia where they lived the small BMX freestyle community was tight. There were only a handful of riders and Georg, Brad and Shaun were in the core of it. Shaun started in the BMX racing scene in 1981 and raced in Western Australia until the new emerging freestyle sport took hold of his senses in early 1986. Within a few months, he took a spot on the newly formed Redline BMX trick team which was put together by Padbury cycles bike shop. It was through this shop that word got around about other riders, this is how Brad, Georg and Shaun met each other. The very first show that the Redline trick team did was at Whiteman Park for its grand opening in August 1986. Although this team did a few shows they only lasted a short time and in the later part of 1986 Shaun left. It was upon this leaving that the three friends got together to form their own BMX freestyle team, Freestyle Now. Where did the name come from? A very popular magazine from America was called “Freestylin”. Freestyle is what the riders did, it’s what they called it. Now is an action word as in do it “now”. So Freestyle Now was the name that Brad, Georg and Shaun settled on as it seemed fitting. In 1986 the only form of information available in the BMX world was through magazines. There was no internet to gain instant information from. Only the magazines had the information and this was sometimes up to 6 months old by the time it would reach Perth from either America or England. BMX freestyle teams were all over these magazines, from the large factory teams to the little group of friends that started something. It was this that inspired the formation of Freestyle Now. The sole purpose of Freestyle Now when it was formed was to promote to the masses the newly emerging sport of BMX freestyle. This was done via BMX stunt shows. December 1986 was when Freestyle Now did their first ever show at the Mullaloo primary school which was followed a few weeks later by a performance at a Christmas dance event in Girrawheen It was the start of something that no one could ever imagine would survive still all these years later. With the first show done new locations were sought for more stunt shows. For Georg, Brad and Shaun it was all about the promotion of BMX freestyle. Another medium that was also emerging out of America was the “Zine”. A small photocopied magazine that was produced by various people. It was another platform to promote BMX freestyle. So the three guys brought a second hand photocopier and started making the “Freestyle Now zine“. These were produced using photos and a cut and glue method. They were put into bike shops and given to other riders. It was a very D.I.Y mentality. With no prior experience it was just hands on and make it work, a true Freestyle Now philosophy. Another good friend of the trio Todd Triebler, who had also been on the same BMX freestyle shop team as Shaun in early 86 was recruited to announce the stunt shows and as a backup rider. These guys were tight, inseparable, spending every moment they could riding together, learning new tricks and exploring Perth. The BMX freestyle scene was growing steadily in Perth and the need for regular gatherings was required so Freestyle Now went ahead and held its first competition in January 1988. Riders came from all over to attend. The only way to spread the news was through word of mouth and the Freestyle Now Zine. The competition was a success, so more were organised. Over the next few years, many competitions were held. The whole ethos of promoting the new sport of BMX freestyle was complete, BMX stunt shows, BMX zines and BMX freestyle competitions. In time Georg Molnar started to move on from BMX and left the Freestyle Now team and Brad Dyer returned to America. Shaun and Todd recruited new riders into Freestyle Now and kept on performing the BMX stunt shows. When the 90’s rolled around a major shift took place in the sport of BMX freestyle. It was as if overnight every rider had quit and stopped riding. There was still a core group of BMX freestylers but the need for competitions had passed. With Brad now in America, the drive to produce the Freestyle Now Zine was in a standby mode. The promotion of the sport had shifted to just the stunt shows. Over the coming years, Todd and the other riders moved on from BMX and their association with Freestyle Now. This left Shaun Jarvis at the helm steering Freestyle Now into the future. When there were no riders to perform at the stunt shows Shaun just went out and did solo shows. The need to carry on the promotion of the freestyle sport was what drove Shaun to keep going. In late 1996 the sport of BMX freestyle seemed to be coming back, new riders were emerging. One of these riders was a young Jason Parker. Jason had heard about Freestyle Now through friends in the south-west area of Western Australia where he lived. This was due to the stunt shows that Shaun had been doing. When Jason moved to Perth he managed to track down Shaun through an advertisement in a national BMX publication for BMX products that Freestyle Now was then distributing. The two guys started riding together. It did not take long for Shaun to recognise Jason’s riding potential, and he was asked to join Freestyle Now. In an ironic twist, when the two riders met for the first time Shaun showed Jason some BMX photographs, one of the photos was of Shaun at the very first BMX show that he did with the Redline BMX trick team, the one at Whiteman Park in mid 1986. Jason was surprised to see the photo because as a very young 6 year old Jason Parker was in the crowd that day and saw the show. The two new friends could not believe it, Jason remembered the whole show, how a tram came in through the middle of the show location and stopped the show leaving some riders on the top of the ramp. Even to this day, the two riders can’t believe how ironic it was. Jason is still riding and involved with Freestyle Now today and apart from Shaun is the longest serving squad member. Over time more BMX shows were performed and new riders were recruited into the squad. But now with the growing popularity of BMX, the need for competitions became prominent once again. In the early 80’s Co-founder Shaun Jarvis helped organise BMX races on the local BMX dirt jumping/BMX track that the youth of the town of Quinns Rock had built. Organising BMX competitions was nothing new as he had done it before as a BMX racer and then as a BMX freestyler. The need for well managed events was something that was required to help with the growth of the BMX scene. Some of the first competitions that Freestyle Now organised were dirt jumping competitions in the late 90’s. These morphed into BMX skatepark competitions for local government and community organisations and were very successful. Freestyle Now was then asked to manage skateboard competitions as well as BMX and then with the rise of the scooter scene the whole skatepark culture was catered for in competition management. In 2001 community T.V. was starting to emerge in Perth via channel 31. There was a show being air called “Cruzin” a show about Perth hot rods and the car street scene. Shaun was watching this show and realised that a show about BMX could be done. Shaun called up Jason and said “do you want to do a television show on community television”. Jason said “sure why not!” and with no prior computer experience or video editing experience “Behind the Bars” was started. The show was a nine part show with each show airing every 4 weeks. It was a major undertaking at first. In the same way, the Freestyle Now zine was done with a D.I.Y. mentality so was Behind the Bars. Learning as the show progressed was the format. It was just hands on and make it work, a true Freestyle Now philosophy. 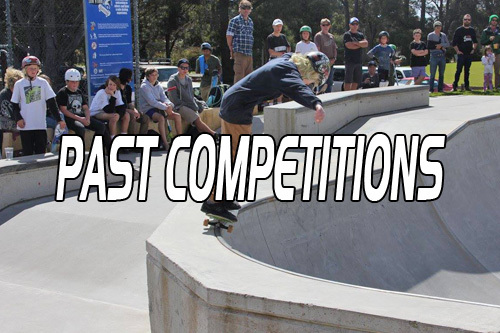 To help grow the competitions and to also help new riders Freestyle Now started to host skatepark coaching sessions. These sessions are designed to help younger participants or those needing to progress their skills. With show performances, competitions, coaching, publications and promotions, Freestyle Now is advancing into the future with positivity paramount. The past was great but the future holds larger aspirations. Freestyle Now continues to grow by using our fundamental ethos of courtesy, respect, inclusiveness and diversity within our cultural industry. Freestyle now before it’s too late…………….